In this June 26, 2014 file photo, customers enter an IKEA store in Emeryville, California. Ikea is making moves so you don't have to assemble a sofa or bookcase yourself. The furniture seller said Thursday that it is buying online on-demand services platform TaskRabbit, which lets users hire people to help them move, clean up the house or assemble furniture. Much of Ikea's furniture requires customers to screw together table legs, bedframes and dining room chairs. Ikea said it tested TaskRabbit in its stores in London last year and plans to roll out the service in U.S. stores and more U.K. locations. More countries may be added later. Before the TaskRabbit deal, certain Ikea stores already provided some independent workers to assemble goods. As more people shift to shop online, brick-and-mortar stores are looking for ways to offer convenient services to win back customers. Best Buy recently launched a program that sends its employees to customer's homes to recommend electronics. And department store operator Kohl's will soon offer services at about a dozen stores through a deal with online retailer Amazon, which would let Kohl's shoppers hire someone to install products at their homes. 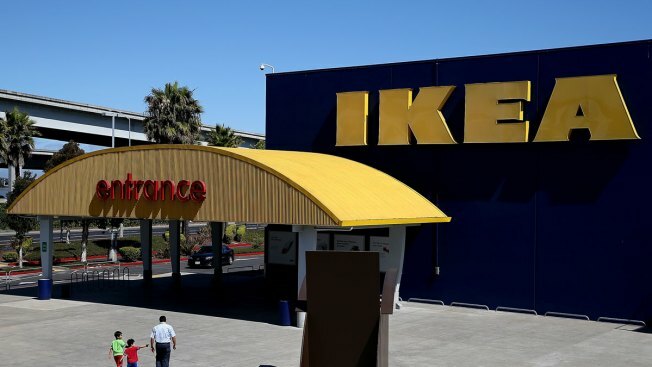 Ikea said it expects the deal to be completed next month, and that TaskRabbit will remain an independent company and stay based in San Francisco. The Swedish company, which has nearly 360 stores around the world, did not say how much it is paying for TaskRabbit.